This one hurt; at the beginning of the prior month, we get a list through detailing all the games celebrating an upcoming milestone, whether it be five, ten or even 15 years since their launch – if anyone can remember that far back. The list came back for October with a noticeable game on there. That’s right, Fallout 3 is ten years old this month. In the week that was 27th October – 2nd November 2008, the Philadelphia Phillies won their second MLB World Series 4-1 against the Tampa Bay Rays after game 5 became the first in World Series history to not be completed in one sitting, meaning play had to be resumed two days later. Pink, John Legend and Snow Patrol released their fifth, third and fifth albums respectively, and Fallout 3’s biggest competition that week came in the form of Motorstorm: Pacific Rift released exclusively on the PlayStation 3. Fallout 3 released on 28th October 2008 for NA regions, and 30th October 2008 for the rest of the world. It was the first game in the series to be produced by Bethesda after purchasing the franchise from Interplay Entertainment, and in doing so completely changed the direction of the series. For many existing Fallout fans, this was not good news. Gone was the turn-based RPG, with it replaced by a much more FPS focused open-world gameplay. In place of the turn-based battles was the introduction of the VATS system. The Vault-Tec Assisted Targeting System was designed to help those more accustomed to turn-based battling; at any point during a fight the action can be paused using VATS and the player can choose to target a specific limb of their enemy. Each limb has a percentage hit ratio which depends on criteria such as range, visibility, weapon proficiency and other such factors. It’s hard to believe that something so synonymous with the Fallout series was only introduced in the third main instalment. Whilst older fans weren’t convinced with this new direction for Fallout, one thing Bethesda did keep is the rich lore of Fallout. Fallout takes place in an alternate universe that branched off from ours post-World War II. The world is a strange amalgamation of highly futuristic ideas such as robots and laser rifles to name but a few technological advancements, all whilst retaining this faux 1960s aesthetic. It’s unique, and one of the biggest draws for fans of the series. But how does Fallout get from this idyllic setting to a post-apocalyptic wasteland? Many fans know the date off by heart: 23rd October 2077. The day the bombs fell. The US Government had predicted this day would come, and so decided to build underground bunkers for people to hide in if the worst did happen. These are known as Vaults, and every mainline Fallout entry – aside from Fallout 2 – has a character emerging from a Vault. These Vaults though, rather than safely house a sample of the population until it was time to emerge again, were instead used for bizarre and highly unethical social experimentation. Vault 101 for Fallout 3 was no different. This specific experiment was to study the role of the Overseer – or leader of a vault – in a Vault that would remain closed indefinitely. Or at least it would appear to be closed. In Fallout 3 you play as a character known only as the Lone Wanderer. The beginning moments of the game see this character from birth and introduce your parents, James and Catherine, helping set the scene. Your parents were allowed to enter the Vault from outside, but it was kept a secret so as not to raise suspicion to other dwellers, who still believed they were closed off completely. Sadly, Catherine dies shortly after birth, so it is up to James – voiced by Liam Neeson – to raise you. One day however, around 19 years or so since arriving, your father disappears from the Vault and as a result, you are forced into escaping too. And that’s where Fallout 3 opens up completely and becomes a game where everyone will have different experiences and stories to tell. For me, this is the beauty of any game Bethesda makes. Everyone is playing the same game but the design is so that it becomes your playground, your open-world to do with what you will. See that city built around a giant, unexploded nuclear bomb; you can choose to live there or blow it up. It should be fairly obvious which is the good and bad ending for that particular mission. If it isn’t, there is the Karma system to reinforce it. The Karma system in general was still relatively new when Fallout 3 released. It gave a value to players’ actions and decisions, awarding good or bad Karma as a result. This morality system is now much more widely used throughout gaming, but one of the first examples was Fallout 3. It must be said in this example the Karma system did not make too much of a difference; besides a few alternative conversation options, specific perks and minor changes to the endings, the system didn’t alter the way the game played too drastically. Naturally, I played through as a goody two-shoes throughout. When Fallout 3 was first announced, it was completely off my radar. I was never a fan of open-world 100 hour sprawling RPGs at first, much preferring a linear experience. But I’d heard good things, and I was intrigued. I went to my local Blockbuster and rented a copy for a week, about a month after release. That in itself shows how far back we are going that video and game rentals were still the norm. Admittedly, it was very naïve to rent a game as big as Fallout, hoping to have it done and dusted in a week. Truth be told, I only actually finished the ‘tutorial’ section within Vault 101 itself during that time and wasn’t overly impressed. 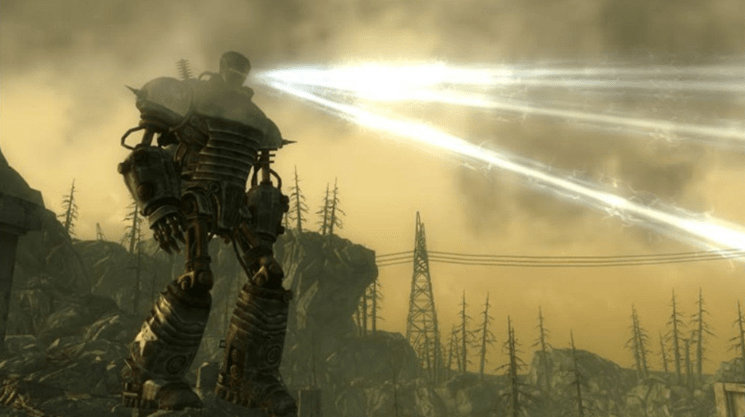 It felt slow, in-depth, and a little too focussed on FPS action than a more traditional RPG – everything that I now adore the Fallout series for. But something stuck in the back of my head that made me want to eventually return. Six months later and I had just received my first substantial paycheck for working part-time and wanted to treat myself. I went back to the Blockbuster – that was twinned with a Gamestation (again showing the age of the game) – and Fallout 3 was on offer for £24.99. I had been meaning to return to the Capital Wasteland so I parted with my cash. Things were different this time, I was hooked. With the world now open in front of me, I headed towards Megaton and began my love affair with Fallout. It isn’t primarily the gameplay that keeps me coming back and playing the older games as well – though it is solid – but the lore itself is so vast and detailed, it may be the best in all of gaming. The only comparison is Bethesda’s other baby; The Elder Scrolls. I also love exploring the worlds, in particular for other Vaults and seeing the heinous experiments that Vault-Tec have subjected their residents to. Fallout 3 was no different; as well as your native Vault 101, it included others that fleshed out the Vault-Tec backstory. Many fans will remember Vault 108 especially, where it was full of hostile clones, all known as Gary. Due to the nature of the story and frequent references to nuclear warfare, there are some sensitive subjects. A few things were revised for a Japanese release including “The Power of the Atom” sidequest – where a dormant atomic bomb can be diffused or detonated, and the name of the Fat Man nuclear bomb launcher was renamed “Nuka Launcher”. And of course, it being an 18-rated game in most regions, it was originally denied a classification in Australia. After release, one of the biggest criticisms was aimed at the ending. The Lone Wanderer is tasked with finding a Garden of Eden Creation Kit (G.E.C.K.) and activating it. But to do so a code needs to be manually inputted in a room with deadly levels of radiation. However, on your adventure you meet a friendly super mutant named Fawkes who is immune to radiation. He can be employed as a companion to follow you on your journey and will even follow you to outside the activation room. He won’t follow you in though. He leaves that to you to deal with the toxic levels of radiation. As a result, your character dies. This was fixed during the DLC Broken Steel, but this was the third DLC pack to be offered and fans weren’t happy it took this long. This DLC continued the main story after the conclusion of the main game, compared to others that seemed to focus on different areas and timelines within the Fallout world. Fallout 3 sits proudly on a 93 on Metacritic for the Xbox 360 and is widely considered the best game in the Fallout series, at least by fans for who this was their first introduction to the series. Since release there has been another mainline entry – 2015’s Fallout 4 – and a spin-off, Fallout: New Vegas released in 2010. There is also Fallout 76 – a multiplayer-focused game – due for release on 14th November 2018. 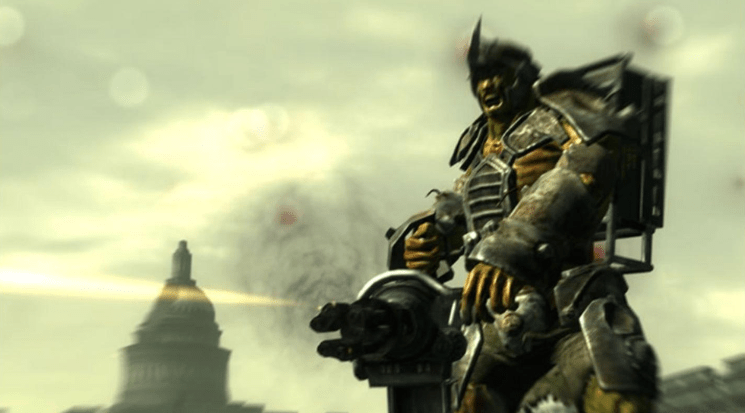 And so there we have it – that’s our retrospective on Fallout 3. 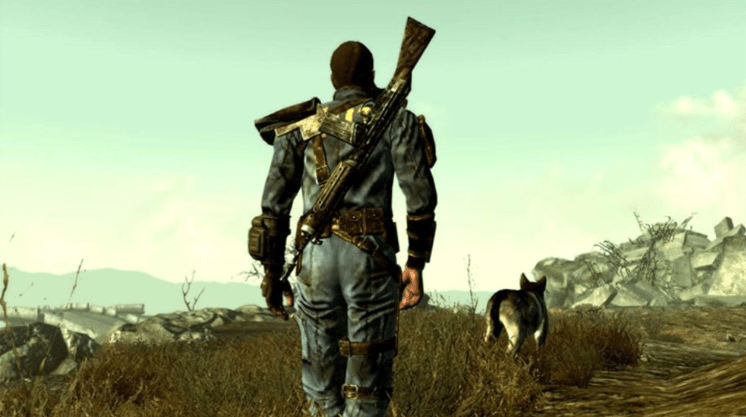 Looking back, it’s easy to call this a genre-defining game by being a standout Fallout title, and a standout open-world game. It paved the way for a new generation of open-world titles and introduced a whole new market to the Fallout brand. 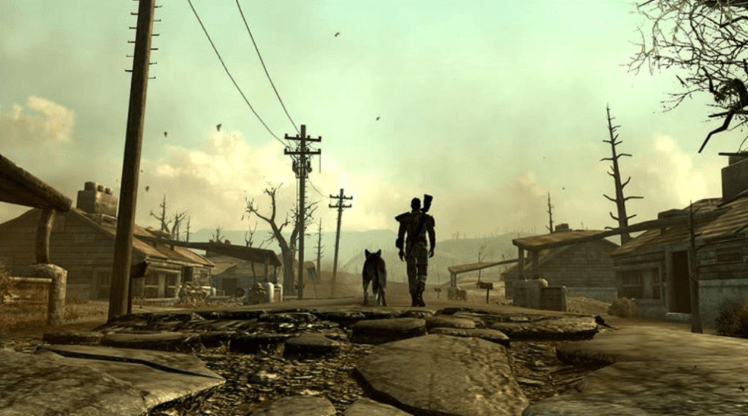 For many, this was their first Fallout title, but it wasn’t their last.